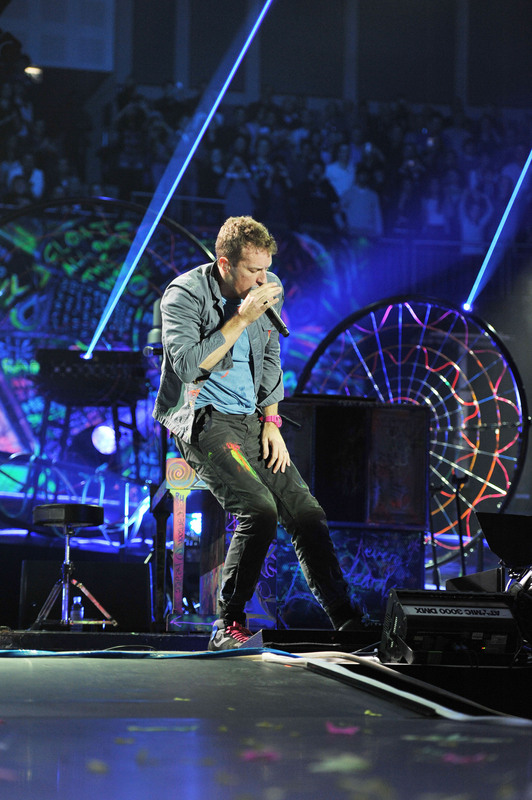 Mylo Xyloto Tour [December 9, 2011]. In O2 Arena, London, UK. HD Wallpaper and background images in the Coldplay club tagged: coldplay on stage mylo xyloto tour mylo xyloto tour december 9 2011 o2 arena london uk. This Coldplay photo contains concerto and chitarrista. There might also be batterista.